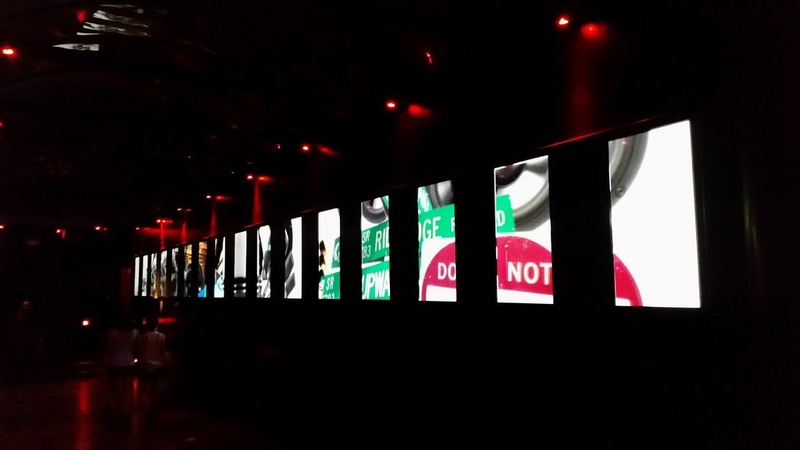 Light-emitting diodes (LED) video walls have become a useful tool in many industries. There are many new and exciting ways companies are using LED video walls to increase sales and improve customer engagement. From professional sporting teams, to worship centers, and everything in between, LED video walls are being used in a myriad of ways—let’s take a look. What is an LED Video Wall? LED screens are commonly thought to be identical to liquid crystal display (LCD) screens, but the two are very different. The liquid crystals in an LCD display don’t produce the light to create an image, and instead rely on the backlighting to depict images, thus creating a lower-resolution picture. In contrast, each diode in LED displays produce light and they don’t need to rely on backlighting to create the image. By eliminating the need for backlighting, LED displays—like video walls—can create an extremely high resolution display. LED video walls are comprised of multiple tiles of various sizes that work together to create video content. The multitude of diodes in each tile create a vivid, moving, high-resolution video. LED video walls are an eye-catching, effective tool for companies, and new uses for LED video walls are being discovered every day. As the technology surrounding LED video walls continues to evolve, various industries are capitalizing on this trend in innovative ways. Interactive video walls have shown the capability to improve multiple business functions. Businesses that use interactive LED video walls create better customer engagement by promoting an interaction with displays and the customers’ interaction with a video wall provides a sense of power and control over their experience. In another innovative example, the Pittsburg Pirates used a new LED video wall to play a real-life game of Super Mario. The Pirates invited fans at PNC Park to participate in the game of Super Mario, and by the crowd’s reaction it was evident this interactive use of the LED video wall was well received. Professional sports teams aren’t the only organizations using LED video walls. Worship facilities all across the country are starting to realize the many benefits of adding LED video walls to their churches and worship centers. Many LED walls offer longevity—100,000 hours of lifespan—and that longevity, along with the clarity of content provided by video walls, allows worship centers to deliver their messages in a more effective and efficient manner. Alongside sporting venues and worship centers, digital art spaces are beginning to use LED video walls and serving up some pretty cool experiences for viewers in cities across the U.S. like Los Angeles, for instance, who plans to install multiple LED video walls in growing sectors of the city. L.A.’s growing public transportation system has inspired city officials to plan for the instillation of LED video walls on street level exits near public transits. The video walls will display a combination of commercial, leisure, and art content. L.A. hopes using the new LED video walls to display art will bring a new form of artistic expression to the streets of Los Angeles. In the business world, video walls can also be utilized in a number of ways. For instance, incorporating an LED video wall in your business’s trade show efforts can have major benefits. Trade shows are often boring, featuring clusters of excruciatingly similar displays and booths and vendors all competing against one another for the attention of attendees. Incorporating an LED video wall into your company’s trade show efforts can help set a company apart, creating an eye-catching, unique display that will attract more booth visitors and provide more opportunities for connections for your sales team and, hopefully, increased sales. In the office setting, a video wall can be used for brand messaging and awareness or to feature information about a particular product or corporate event. An interactive LED video can help lead to increased viewer engagement, which can open the door to new opportunities. For an LED video wall to deliver maximum value, it’s imperative that it be installed correctly. For businesses considering the purchase of a video wall, it’s important to research and choose an experienced vendor partner for the installation process. Finding companies that have a proven track record installing LED video walls can be a difficult task. Our team at HB Communications has an experienced installation team with an unparalleled commitment to customer satisfaction, and we’re happy to share references and point you to our many satisfied customers. LED video walls have become a new and effective way for businesses in many industries to convey content. From sporting events, to worship centers, to art districts, the popularity and uses for video walls continue to grow. If you or your company have any questions regarding the purchase and installation of LED video walls, contact HB Communications.